At its April 25, 2017 public meeting, the Board of County Commissioners presented a new concept for the Armory Square project featuring a potential location for a new county office complex. Below is the concept layout. 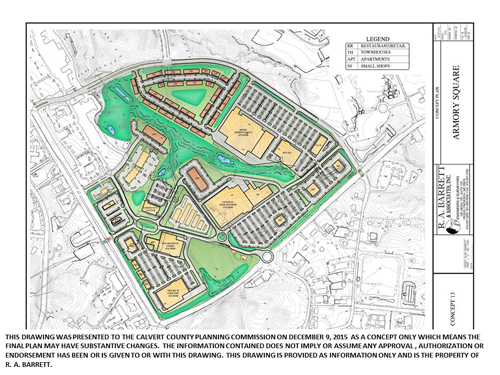 The plan was presented as part of a discussion on the county's Capital Improvement Plan in which funds for initiating the office complex project were advanced. 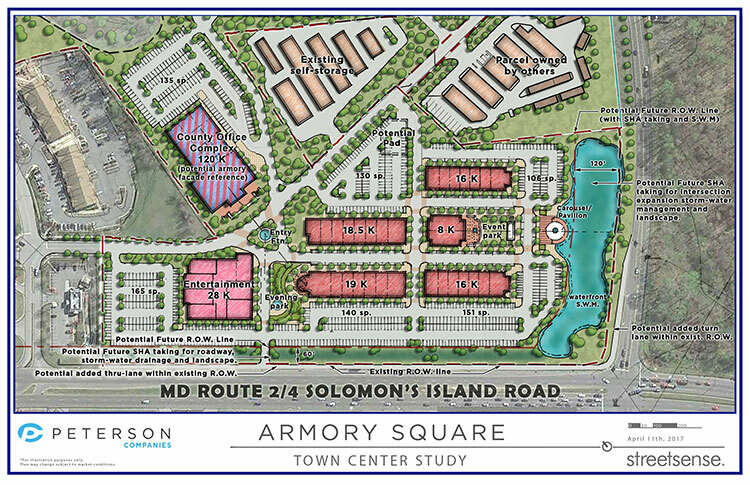 The Calvert County Planning Commission reviewed conceptual drawings and traffic study information related to the Armory Square project at its Dec. 9, 2015 meeting. 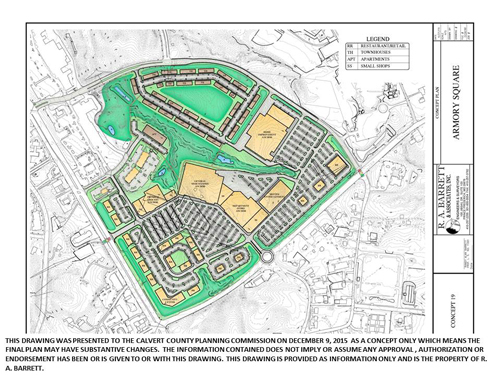 Below are the two conceptual drawings presented. Click the drawings for larger versions. A consultant conducted a traffic study to gauge the effects of the Armory Square project. The study covered the intersections from Route 2/4 at Fox Run Boulevard to Route 402 (Dares Beach Road) and along Dares Beach Road through Armory Road to Fairground Road. Below are the traffic study documents. Below are videos demonstrating morning and evening traffic flows both before and after planned road improvements.